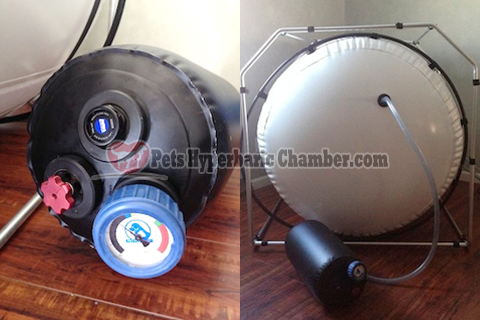 Hyperbaric Chamber for Pets PetsHyperbaricChamber.com Offering Affordable Hyperbaric Chambers (HBOT) for your Pets. 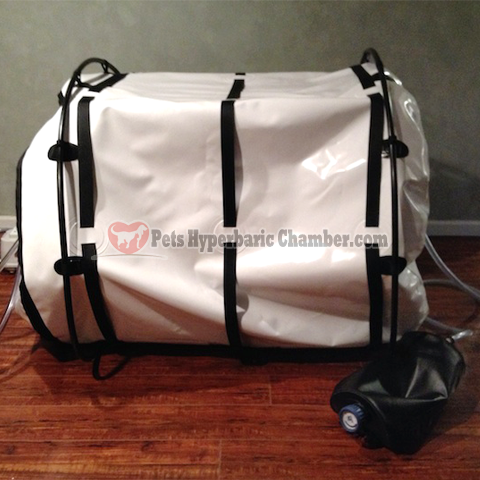 Offering affordable hyperbaric oxygen chambers (HBOT) for your pets. 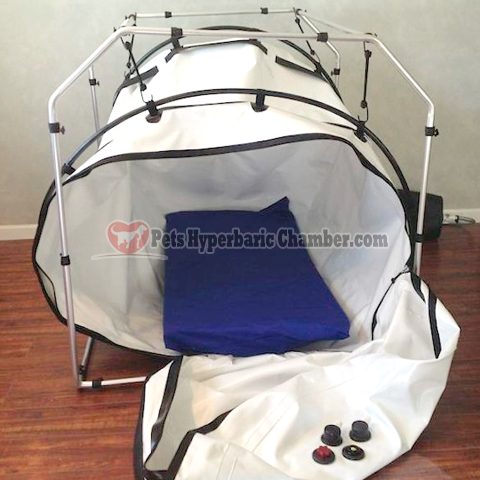 Fill in your email below to learn more about PET HBOT. 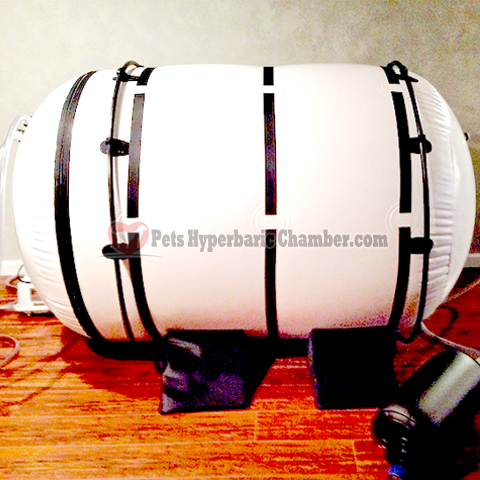 The Pet Hyperbaric Chamber features a 46" diameter and 72" length. The chamber offers easy access for your cat, dog or patient and friend. dogs, cats, monkeys, other zoo animals, snakes, bees, and many others. * An optional aluminum external frame is available. 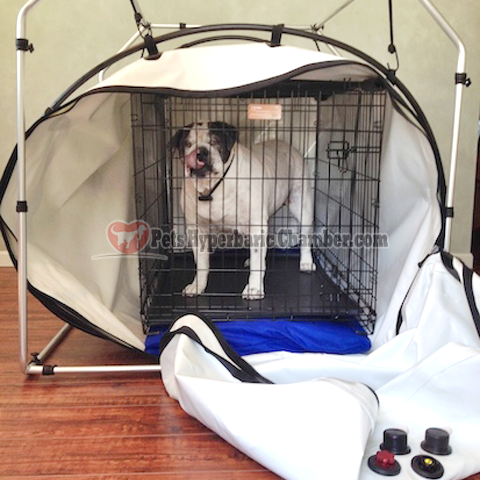 We have worked closely with the FDA to ensure that we have followed their guidance for veterinary hyperbaric chambers. but they do recommend policies that we have incorporated in our manufacturing best practices. With an entrance of over 40" you can see how easy it would be to use this chamber. The chamber, with and without the optional frame, is pictured above. You can observe the animal through a window to for allow monitoring of the animal. 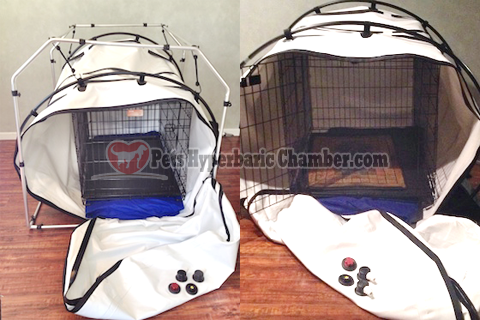 The hyperbaric chamber deflated with the kennel inside, without the optional frame. Frame is an extra cost. 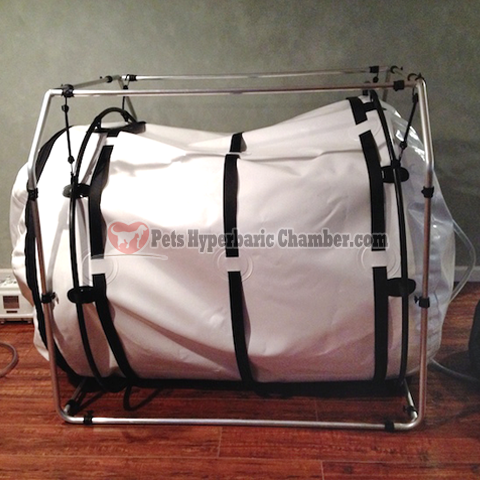 The pet hyperbaric chamber deflated without the kennel inside, with the optional frame. The control panel can be moved around the chamber to a convenient location. the relief valve from the chamber further quieting the environment inside. If your technician needs to be inside with the animal you can remove the kennel (All chambers are delivered with a kennel). The FDA approves this practice by ensuring the chamber is manufactured under the FDA manufacturing best practice guidance. Standard with this great chamber is the patented passive cooler silencer. By attaching a mini hyperbaric chamber in line with the compressor the chamber is isolated from all vibrations and noise. using basic physical properties of cooling by decompression. 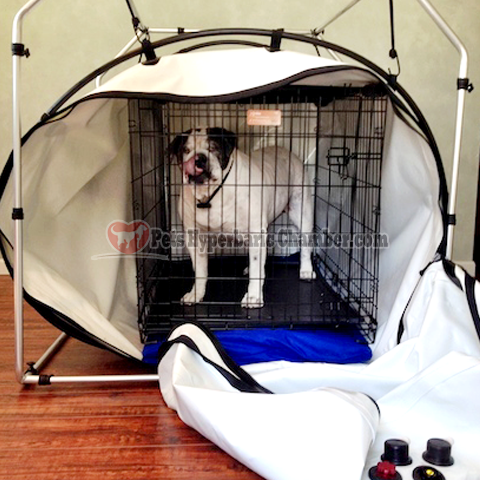 This patented cooler silencer adds to the comfort and control of the hyperbaric experience. * Does not include Oxygen Concentrator. Call for details. Super fast shipping! Customer service is very awesome. 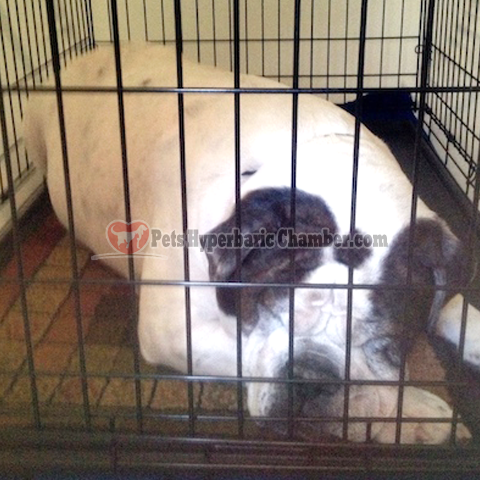 © Copyright 2014 PetsHyperbaricChamber.com. All rights reserved. 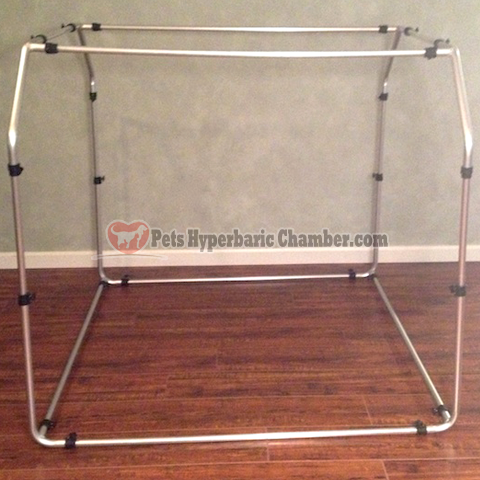 Disclaimer: The entire contents of this website are based upon the opinions of PetsHyperbaricChamber.com, unless otherwise noted. The information on this website is not intended to replace a one-on-one relationship with a qualified health care professional and is not intended as medical advice. It is intended as a sharing of knowledge and information from the research and experience of PetsHyperbaricChamber.com. These statements have not been evaluated by the FDA (Food and Drug Administration). This product is not intended to diagnose, treat, cure or prevent any disease.